Ford lowered its forecast for 2015 China sales industrywide by 500,000 units and now says it expects growth of 8 percent or less this year. DETROIT -- Ford Motor Co., which is in the midst of a plant-opening blitz in China, reduced production there slightly in the first quarter in response to a market slowdown and price cuts by rivals, the head of Ford’s Asia Pacific region said today. Over the long term, the automaker still expects considerable growth in China, where it will have nearly quadrupled annual production capacity since 2011 to 1.9 million vehicles by the end of this year, Ford Asia Pacific chief Dave Schoch said. He said internal projections show the region accounting for 60 percent of Ford’s global sales growth in the next five to 10 years. But in April the company lowered its forecast for 2015 China sales industrywide by 500,000 units and now says it expects growth of 8 percent or less this year. Ford did lower the price of its Explorer SUV in China by more than 8 percent last week. But it has not acted as drastically as General Motors, which cut prices of 40 models by as much as 20 percent. Volkswagen AG and other automakers also have reduced prices as growth in China’s gross domestic product falls into the single digits. 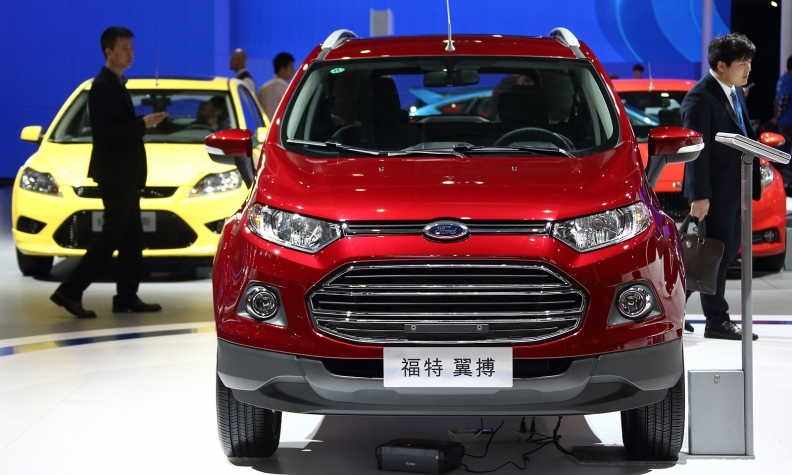 Ford’s China deliveries have risen 7 percent this year to nearly 394,000 vehicles through April. It opened its sixth Chinese assembly plant in March to build a three-row version of the Edge crossover, one of a record 18 vehicles being introduced in Asia Pacific this year. Ford plans to grow Lincoln, which made its debut in China last year, from 14 dealerships there now to 60 by the end of next year.